Soft drinks and carbonated beverages have become increasingly popular in American diets. In 2005 carbonated soft drinks were deemed the most popular beverage in the United Sates, about three times more popular than bottled water and milk, according to the FDA. 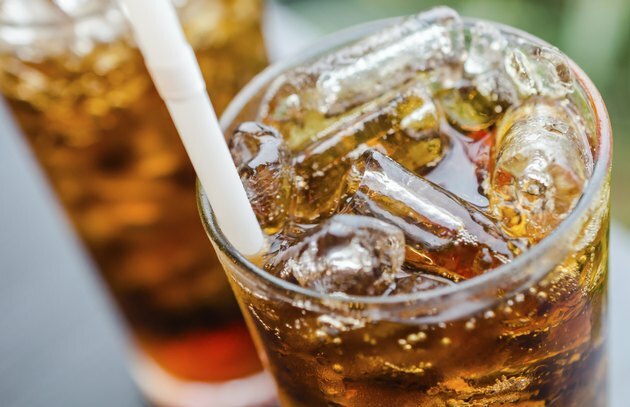 Despite claims from the Food and Drug Administration reporting the safeness of carbonated drinks, researchers have found many ways in which these kinds of beverages negatively impact your health. Carbonated drinks may cause you to experience pain in your nasal cavity. As reported at Neuroscience News, one study conducted at the University of Southern California revealed that the carbon dioxide in carbonated beverages alerts pain sensors in your nasal cavity. Carbonation from beverages like soda causes two sensations, making your mouth taste sour and a tingling feeling in your nose and throat. The burning sensation that many people feel when drinking carbonated drinks stems from nerves that respond to pain sensations and temperature in your nose and mouth. Consuming one or more carbonated drinks per day may cause you to experience nighttime heartburn. One study revealed that heartburn at night, nocturnal gastroesophageal reflux, is fairly common. Approximately 44 percent of Americans suffer from heartburn at least once a month. If you experience heartburn on a regular basis you may be putting yourself at risk for esophageal cancer. Researchers also report that frequent heartburn may lead to laryngitis, asthma and pneumonia. If you often have heartburn try cutting back on carbonated drinks as this may be the culprit. Carbonated beverages have been suggested to cause damage to your kidneys. More specifically, the sugars found in carbonated drinks can impact kidney function. Kidney specialists determined that excessive consumption of carbonated beverages is a risk factor for kidney disease and may lead to inflammation and damage to your kidneys, according to a 2010 issue of the Journal of the American Society of Nephrology. If you have kidney problems, scientists suggest that you should limit the fructose-containing drinks like carbonated beverages. Physically active girls who consume carbonated cola drinks are five times more likely to have bone fractures than active girls who do not drink soda, reports Grace Wyshak, associate professor in the departments of biostatistics and population and international health at the Harvard School of Public Health. After conducting a study on 460 ninth and 10th grade girls she concluded that drinking any type of carbonated beverage is linked to an increased risk for bone fractures. One reason that bone fractures may occur in those who drink carbonated beverages is because they contain phosphoric acid, which has been shown to deplete calcium levels and bone mass.